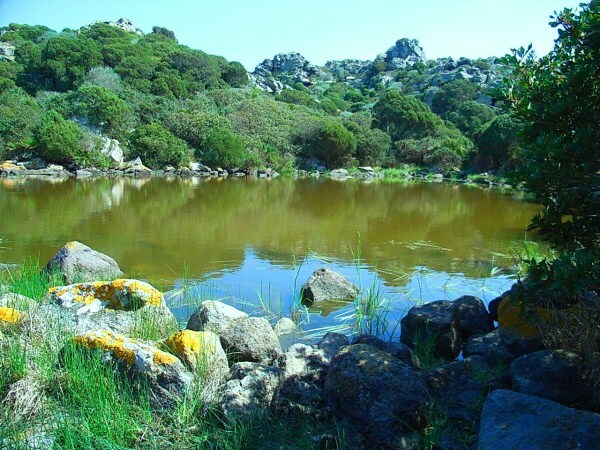 Today we speak of a place flagship of our tourist proposal here in Sant'Antioco, which is the Nuragic site of Grutti Acqua, just few minutes from our camping in Sardinia. This is the largest and oldest complex on the Island, built on a hill surrounded by wildlife, of rare beauty, and at the base lies a small lake basin which was the source of water supply for the village. Nearby you can see one of the most important Tombe dei Giganti found on the island, built between the 15th and 13th centuries, a rectangular Chamber where the deceased were placed and preceded by an exedra in a circle. All the site really worth visiting, only here you can breathe the true history of our country, the older one and the one we featured over the years. To get to the nuragic Sardinia Camping Tonnara ask to the reception but it's easy because on the road you will find signs. You can go by car and then finally walk through the path. The visit is obviously free, usually lasts about 2 hours. Our Island is waiting to be discovered, piece after piece. So one holiday at our campsite in Sardinia won’t be enough to visit all the most beautiful places, we have an endless list! If you still haven't booked, contact us to ask about the availability of the accommodation that best suits your needs.